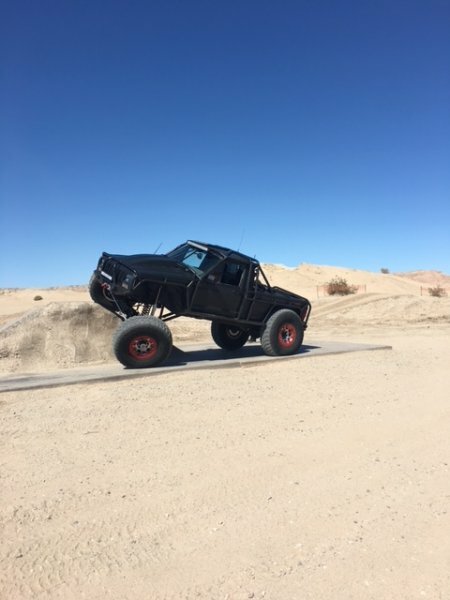 Wait -- you're trying to tell us there's a Comanche under all that tubing? need more pics! and more specs! Pete, I am beginning to think you are not a preservationist. hey, once the milk is spilt I wanna know how much horsepower it's got. or even more so, how did he chop the tailgate? is it still functional? hey, once the milk is split I wanna know how much horsepower it's got. or even more so, how did he chop the tailgate? is it still functional? I will post more pictures tonight. 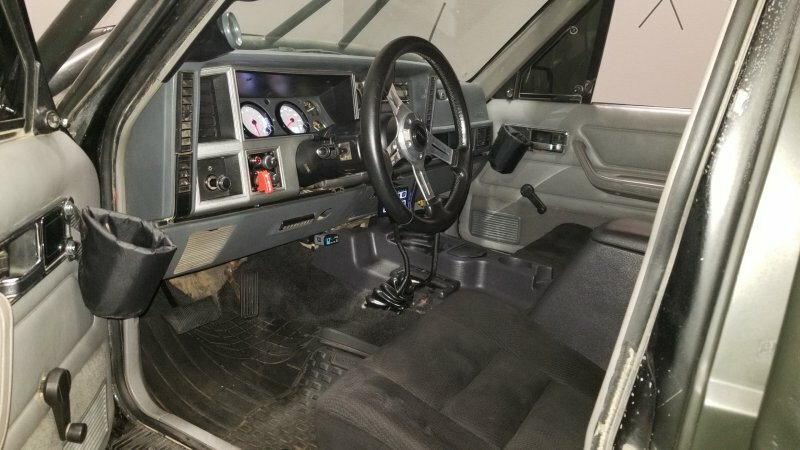 It currently puts out around 400hp with a 4l65 built transmission . It has 1 ton built axles with an atlas twin stick transfer case. 5,38 gears with a spool in the rear and Detroit locker in the front. Line lock for the the rear when you need to shuffle. Built in winch and a SPod to run all the lights. Awesome truck. How many hours would you estimate you have in it? Looks too nice to go out tearing up the hillsides. Terrain looks like CA? Just need a wild flame shooting out the back for a Hollywood movie. If you have just joined CC in the last 24 hours, I would say you figured out many things on your own. 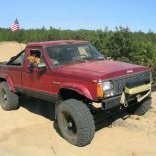 Hi Everyone, I was excited to find a bunch of individuals who share the passion for the Comanche vehicles. And yes, I am located in California. Over here there are a lot of yotas and JK’s. I wanted something different and when I found this Comanche I couldn’t wait to add the LS2 motor and deck it out for its intended use. I like to trail it as well as some mild rock crawling. So far it has forged 4 to 5 foot rocks and seems to do pretty good. I use it but try not to abuse it too much. I have been working on it for about 5 months and am about 90 percent complete. It’s running very well and currently I am installing Holley gauges. I am very meticulous and want everything working 100 percent. As for the hours in it I have lost track but it’s more then anyone can imagine. Thanks for the feedback. Manchemark, have a close up of the engine you want to share with us? Aluminium block? Did you get it out of a Vette? Not sure which ones, but some Vette engines are used in boats too. Much trouble getting in hooked up? Tell us what you did for on board computer to run it. Yeah, and I'm curious as to what hood he's using. As soon as I get some time I will start a build page. I have a lot of pictures of the whole engine transmission and motor mounts from the swap. It was out of a Cadillac Escalade. It’s a 6.0 with a cast block and aluminum heads. I wanted a lot of torque and the LQ9 engine provided that. 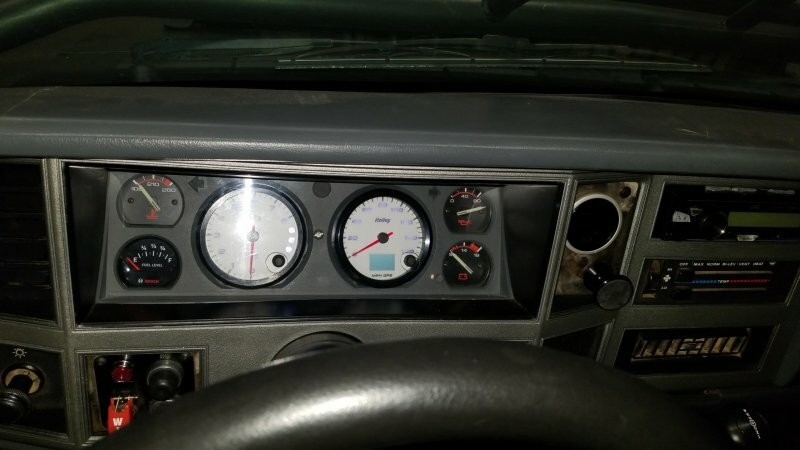 When you get a chance, what do the additions to your dash control? I also have a winch control inside as well as a line lock for the rear. The S POD runs the rock lights, air compressor, overhead led, bumper led, rear bed led, rear additional backup lights, camera system which shows the two front tires as well as one rear passenger and one under neath. The actual horn button goes to a big train horn. Lol! 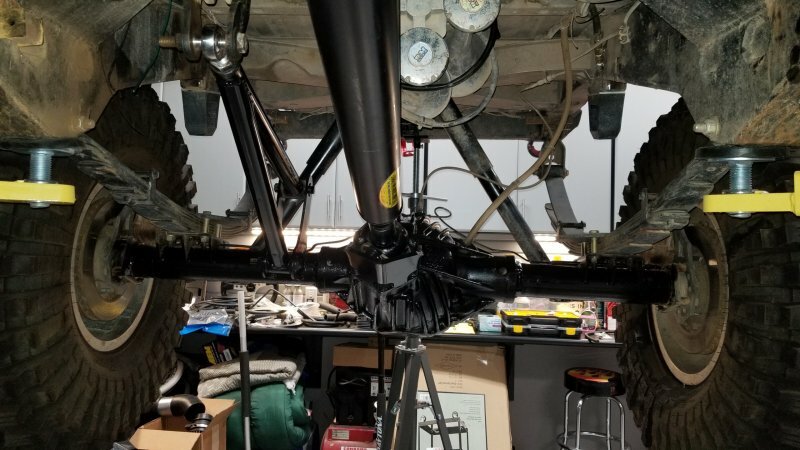 Your build gets more and more interesting with each post. What is where the clock was? Did you bring over the alternator from the Escalade? Looks like you are drawing a lot of amps. What are you running off of the compressor while in motion? 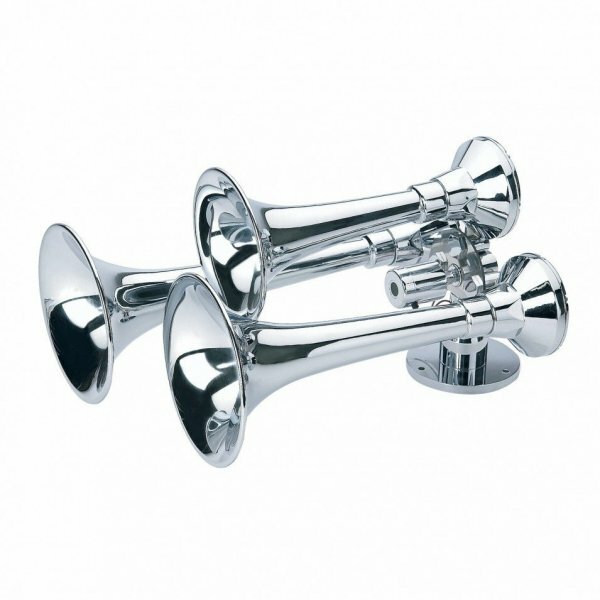 Love the train horn idea. I have that in mind also. An actual train horn is huge, huge, not to mention the size of an air tank. I am hoping to find an electric one but with the train sound. Many here thought the idea was nucking futs. Actually they are only half right. Here is one to plant on top of your cab. Yours is not a subtle mobile. That about the size of my air horn. And yes I am running the Escalade alternator. I have the gauge for the compressor there. Just running two 5 gallon tanks and the relay for the air horns while in motion. Air fittings for filling up the tires and that. See picture below for location of horns. Quick picture of the motor bay. 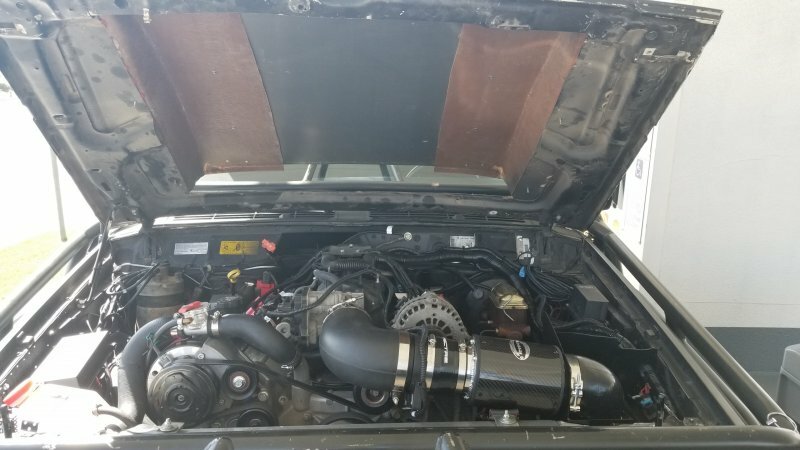 You have sucessfully managed to put a whole lot of engine under the hood of a not large truck. A relative worked in the tech center for GM testing prototypes. He moved to the marine division of GM and was a liason with owners of boat manufacturers. Vette engines were sold by GM. That engine looks very different from the humble MJ ones. When you might get around to showing us more, if you have an annotated diagram of the components, post that for us too. There is much talent here. Chances are they can tap in to anything you might be missing. I happen to love the annotated diagrams they come up with. Tell us about the smaller window in the doors. I can't quite tell what you accomplished. Replace it with metal for strength? Where did you install two 5 gallon air tanks? There are not any annotated drawings. This plans were all done in my head each step of the way. However, I did take pictures each step of the way. I will post more pictures when time permits. In the meantime, if any one has any questions I would be more then happy to assist. These swaps are very involved and require a lot of research and time to complete everything with all the electronics and mechanical devises working correctly. After five long months I finally feel like everything is working correctly. Time to build the skid plates so I can tame this beast. Lol!